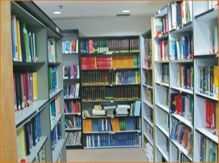 Indian Public School is a Co-educational secondary English medium school established in 2003 by Patil’s Charitable Trust. 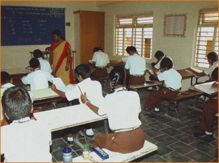 It imparts education to children under the CBSE Pattern. The school has been carefully designed to meet needs of children coming from varied social, cultural and economic background. The teachers are affectionate, warm, dedicated and caring. The education being the child centered, the children are allowed for free thinking. level best to develop the qualities of integrity, honesty, trust, compassion and tolerance among our students. We believe that all children have equal opportunities for education, consistent with their individual capabilities for education, consistent with their individual capabilities and personal needs. On the academic side, unit tests have been introduced to develop a habit of continuous learning. They have also streamlined our promotion policy with weightages being assigned to every test / exam. This is inline with the CBSE requirements of continuous and comprehensive evaluation. Many changes have been made to develop scientific temper among students based on the child cantered system for education outlined in the National policy of education which helps the student in solving problems in their day to day lie and motivate the students to learn themselves.